An excerpt from the book Living Sacred Ceremony by Natalia Karoway. Life is full of cycles. Just as a seed sprouts, grows into its full expression, produces its own seeds, then dies and returns to the earth, many phases of our lives come full circle through beginnings and endings. We have many ways to create ceremony around beginnings (weddings, baby showers, house warmings, etc. ), but beyond the ceremonies held at death, we don’t often bring the sacred to our endings. Divorces or endings of friendships, losing or leaving a job, selling a house, or any other close to a cycle can be very important to acknowledge in the most sacred of ways. I believe it is important for us to ceremonially accept the blessings and lessons from the previous cycle as well as to release the challenges so we don’t find them popping up in the next cycle to work through once again. Think about dating someone with the same short temper that drove you from your last relationship or taking a job with another boss who never gives promotions. No thanks! We so often find ourselves in repeating negative patterns when we haven’t taken the time to do our healing work. That’s where the magic of this ceremony lies. It clears the slate, giving us a completely fresh start to the next cycle. 1. Light some palo santo or sage to cleanse your space. Call on spirit to join you in ceremony through a vocal prayer. Ask for support in closing this cycle and in releasing any accumulated heavy energy from this past phase. Make your offering as you welcome spirit into your sacred space. 2. 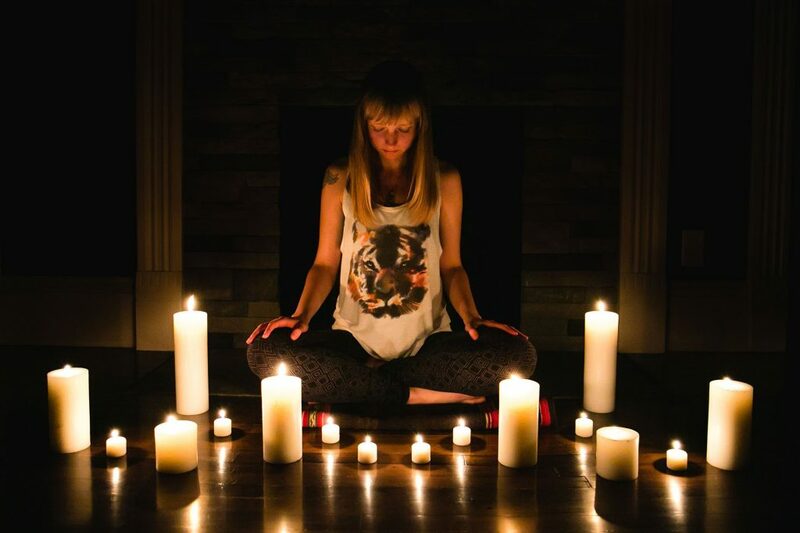 To decide how many candles you will need, take a moment to meditate on the individual challenges from this past cycle that you would like to release during this ceremony. You will need one candle for each challenge plus one extra. 3. Light all candles except for one and sit with the light surrounding you. 4. Each lit candle represents a challenge that you will be putting to rest at the end of this cycle. Assign each candle to a specified challenge. 5. Pick up one candle and allow yourself to feel the reality of this challenge. Feel it in your body, in your mind, and in your soul. How did it first come to be? How is it living within you now? What part of you needs healing in order to let it go? 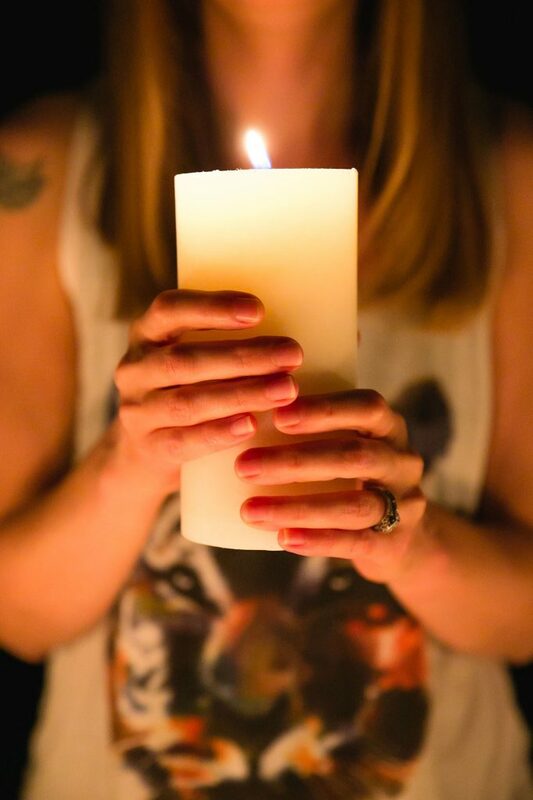 While holding the candle, use your intention to move this energy through your body, through your arms, through your hands, and right into the candle. Once you feel like you have moved the energy out of your body, blow out the candle. 6. Repeat this process until all candles are blown out. 7. Take the final candle that hasn’t been lit yet. Focus on the blessings of this last cycle. Feel them as deeply as you felt the challenges and move that energy through your hands and into the candle. Once you feel that the candle has been infused with your blessings, light this last candle with the intention of carrying these blessings forth into the next cycle. Sit with this candle in meditation for a few moments. 8. Close your sacred space, thank spirit for accompanying you in ceremony, and blow out the final candle. 9. After a week or so, once the energy from this ceremony settles, you may wish to try a Despacho Ceremony to plant the seeds and intentions for your next cycle. The post Sacred Endings Ceremony appeared first on Shamans Market.